The shahadat of Imam Ali (AS) is a major event in the holy month of Ramadhan. We mourn the loss of one of the most amazing beings ever created. For our children to understand why we are sad and why this loss is so important, they need to understand the characteristics of our Imam (AS) that made him such an incredible human being. They need to understand some of the traits of our Imam (AS), and inshallah come up with ways to emulate the Imam (AS) in our lives. I have compiled a few stories from the life of our Imam (AS) from here and from the history textbooks here that illustrate some of these characteristics. It is in an easy-to-use book format that allows the kids to read the stories, understand the characteristic that is being illustrated, and brainstorm ways that this can be implemented in our own lives. This booklet is available to download on the Teaching Young Muslims Resource Library! Enter your name and email address here to receive the password to access these downloads. Already signed up? Enter the library HERE. 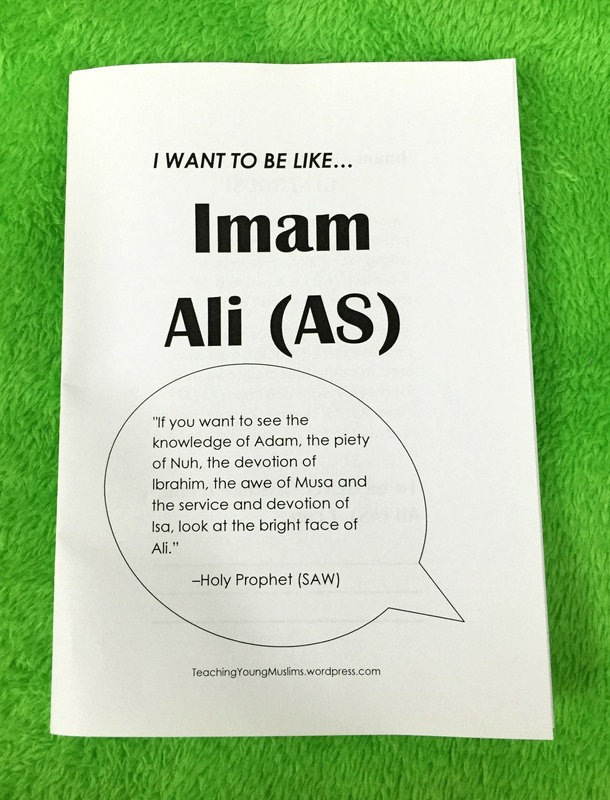 Once you enter the library, click on “Ramadhan and Eid” and scroll down to “I Want to Be Like Imam Ali (AS) Booklet.” Make sure to choose booklet and print it double-sided. As we approach the last ten days of Ramadhan, we come to the most important nights of the month: Laylatul Qadr. These nights of prayer are the epitome of this month, and we hope and pray that our duas are answered. To prepare for this night, we all have duas in mind that we want to ask Allah on this night. 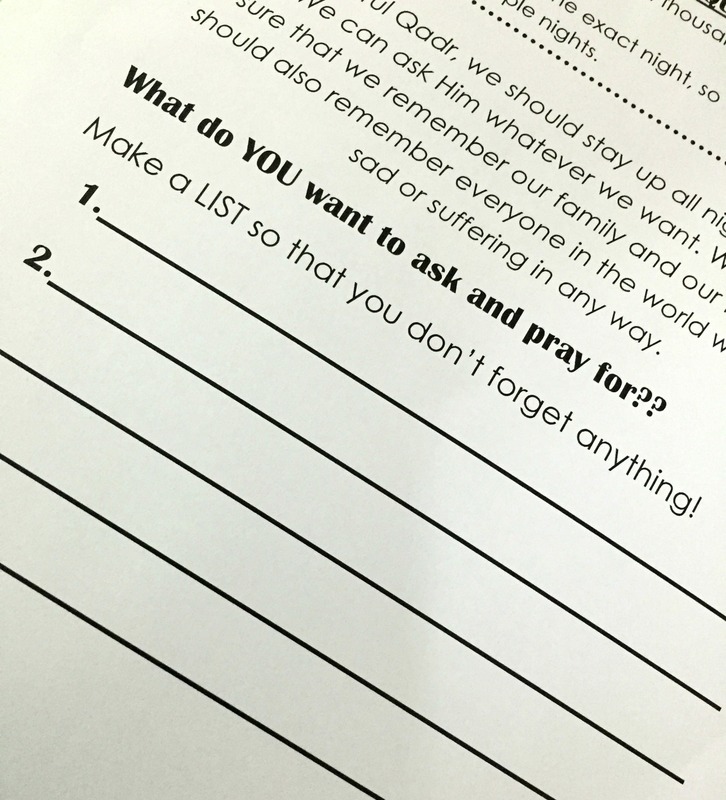 To download this basic facts sheet for Laylatul Qadr with space for our kids to create a list of what they want to ask Allah, visit the Teaching Young Muslims Resource Library! Enter your name and email address here to receive the password to access these downloads. Previous PostDua Iftitah JournalNext PostEvery Day Should be Like Ramadan!